Today marks a very special day for the St Louis web designer. 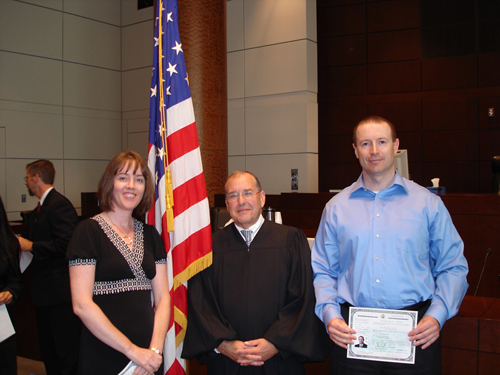 My husband and I were sworn in as American citizens. Here we are with Honorable Frederick R. Buckles, who presided over the ceremony and led us through the Oath of Allegiance.